Aussan organic sanitiser is a complex of bioflavanoids and organic acids derived from fruit and vegetables which can be used to treat potable water for food processing and animal consumption. 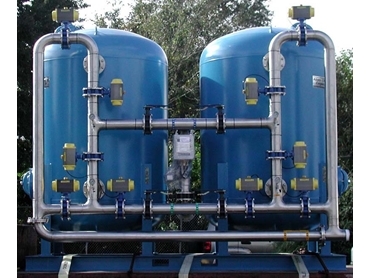 According to Aussan Laboratories , this Potable Water Treatment is effective against a wide range of common water-borne pathogens. In third world countries and in times of natural disaster Aussan organic sanitiser may also be used to sanitise water required for drinking. When used at the recommended dilutions Aussan organic sanitiser is non toxic, tasteless, colourless and odourless. And its residual efficacy means that any water vessels used with it are also sanitised. Aussan organic sanitisers are not only infinitely soluble in water but also harmless to plants, animals and humans. Aussan is certified in Australia with NASAA as an input for organic production/processing.